Washington Cold Storage is an ideal place to store your refrigerated and frozen goods during the summer because it offers temperature-controlled loading docks, enabling product to be moved around without sitting in warm summer weather. Boasting refrigerators and freezers that go down to -10 degrees, the storage units keep sensitive products such as seafood and dairy in a safe climate while awaiting distribution to the restaurants, grocery stores and other venues that use them. Although Washington generally has mild summers, heat waves have been known to roll through and cause temperatures to spike. This can lead to product sitting in the danger zone (typically considered to be 38˚ and higher for refrigerated product) for extended lengths of time as workers try to get them into storage. But at Washington Cold Storage, temperature-controlled loading docks eliminate any potential harm to refrigerated and frozen product and ensure safe loading and unloading at all times of the year. With plenty of cooler and freezer storage to offer, Washington Cold Storage aids in the storage and distribution of well-known local restaurants and grocery chains. Another service that Washington Cold Storage provides is the re-stacking of pallets after long journeys by truck or train. Boards of product can shift and become misshapen after miles on the road, often arriving at dangerous angles that threaten to fall over and damage product. Re-stacking the product before distribution prevents such damage and ensures the product will arrive safely, saving money and time and guaranteeing that our clients will receive everything in good condition. 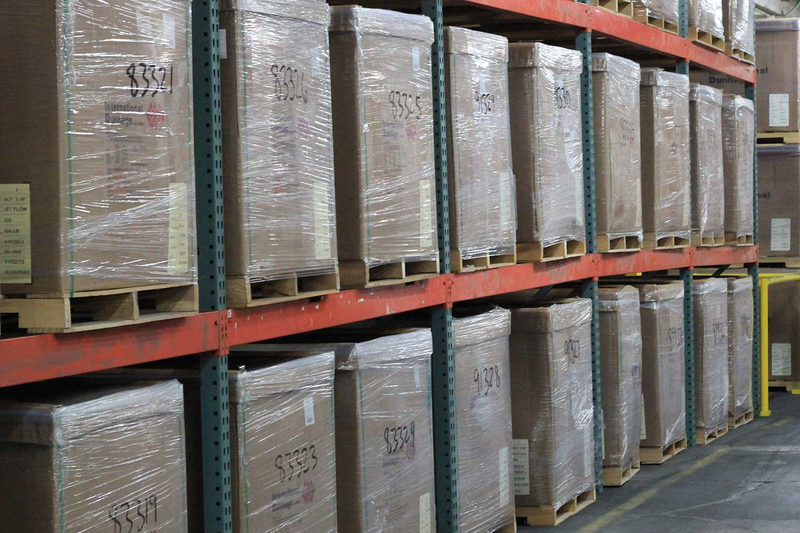 At Washington Cold Storage, we work to ensure that everything we handle is properly stored in appropriate conditions and that the product we work with is prepared for distribution in safe and efficient ways. From a carefully controlled climate to well-stacked boards that can be moved around easily, we promise quality storage and treatment of the goods in our care. Corin Faye is a freelance writer from Tacoma, Washington.